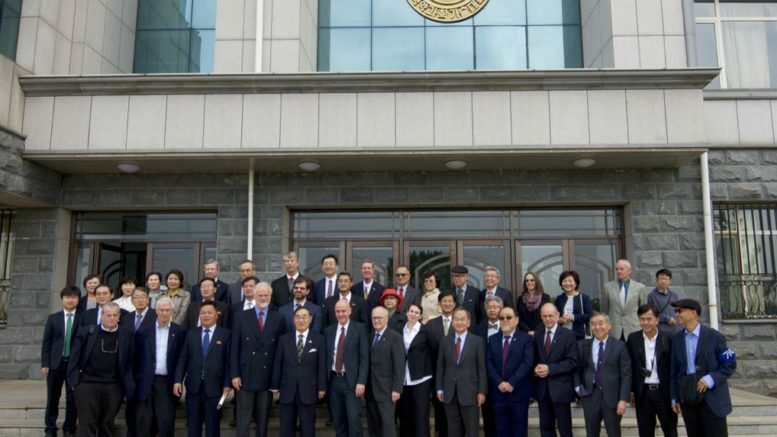 While North Korea’s first party congress in over three decades was about to kick off on one side of Pyongyang, on Thursday a group of three nobel laureates continued their tour of North Korea and dropped in on the Pyongyang University of Science and Technology (평양과학기술대학). The group is visiting the country on a trip sponsored by the Vienna-based International Peace Foundation (IPF) and visited the unique university to speak to its faculty and students. PUST is unusual because its funded by foreign money and its lecturers come from overseas and teach in English. The school, which opened in 2010, recently graduated 105 students. The three nobel laureates, Israel’s Prof. Aaron Ciechanover (Chemistry, 2004), Norway’s Prof. Finn Kydland (Economics, 2004) and Britain’s Dr. Sir Richard Roberts (Medicine, 1993) presented a series of lectures on their specialist subjects, according to a PUST news release. In the afternoon a series of informal sessions were held where the visitors and students could engage in more conversation, the university said. 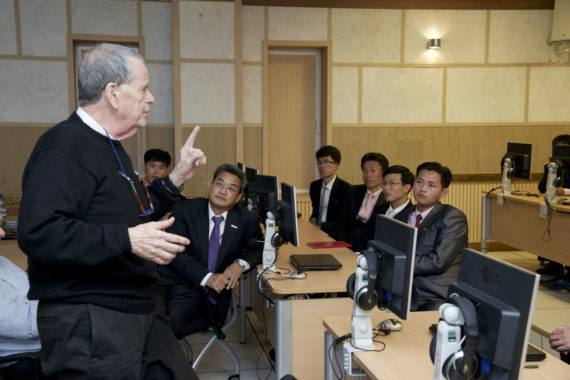 Prof. Kydland had questions for the students on North Korea’s economic system and, the university said, “asked him to suggest research topics that they might pursue.” Dr Roberts and Prof. Ciechanover spoke with students on research methods. Also on the trip is Prince Alfred of Liechtenstein, who is chair of the IPF’s advisory board, and Uwe Morawetz, chair of the IPF. Morawetz has been to Pyongyang six times in the past two years, according to a BBC report.